This is an interesting application of the flowchart to try to explain deep philosophical issues. It’s thought provoking, indeed it has received a number of divergent comments on other blogs. It is quite arguably an oversemplification of reality, however it serves the purpose of conveying instantly the difference between the two domains. 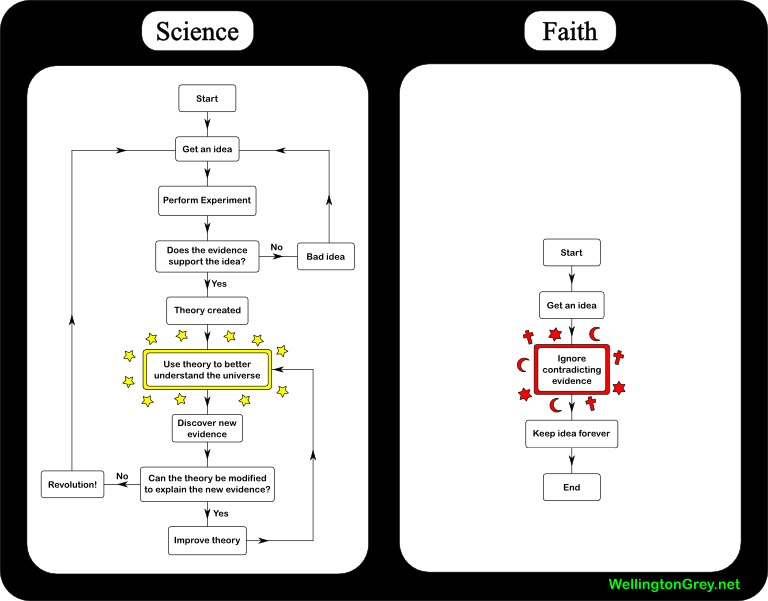 A version 2.0 was developed to improve the science diagram. This interesting re-appropriation process shows the potential of web 2.0 for visualization, that can be shared online, receive feedback and improved collectively.